We believe the issue has been completely resolved by our upstream ISP. Our ISP has identified the likely issue and is working to restore full connectivity. ITS has identified the probable cause of the sporadic internet issues currently affecting campus. We believe the issue is due to a router misconfiguration upstream and on a different network. We are working with our ISP to rectify the issue. 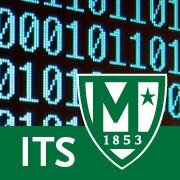 ITS is investigating reports of sporadic network outages from several offices around campus. We will continue to update the community as we are able to determine the cause and resolution.